All rights reserved, Copyright ©, Perfilstar, S.A..The contents of this web site (including, but not limited to texts, images, audio and video elements (hereinafter: CONTENTS) are protected by Intellectual Property Law. The distribution, modification, transmission, reproduction or any other treatment of the contents of this Website for public or commercial means, without the consent of Perfilstar, S.A.; is an offence punishable by law. 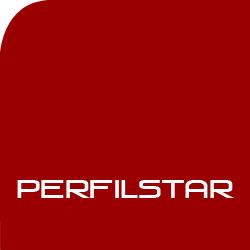 Perfilstar, S.A.; assumes no liability for use of the contents and reserves the right to update, modify and remove the information contained on the web site and to limit or prohibit access, either temporarily or permanently, to this information. The information contained in these web pages is current on the date of its last update and the user must consider such information as guidelines on products, services and other additional information. The user may confirm the date that any piece of information was last updated by requesting such information using the e-mail address on the aforementioned web site. Perfilstar, S.A.; is not responsible for any possible discrepancies as may arise from its printed documents or from the electronic version published on the web site. The contents, commercial activities, products and services included on the Perfilstar, S.A.; web site of Perfilstar, sA. ; or any site linked to the former, are aimed at consumers residing in Spain. Perfilstar; accepts no liability over any information not contained in these web pages and, hence, not created by Perfilstar, S.A.; or not published in the name of the latter. Moreover, it accepts no responsibility for information contained in the Web pages of third parties connected by means of hyperlinks to the web pages of Perfilstar, S.A..